Private View at Fosse Gallery: Sunday 14th June 2015, 11am – 4pm. The Exhibition continues until Saturday 4th July 2015. Michael de Bono is a self-taught painter living and working in Wales. He has successfully exhibited with the Fosse Gallery since 2008 and we are delighted to be staging this, his second One Man Exhibition titled Modern Nature. 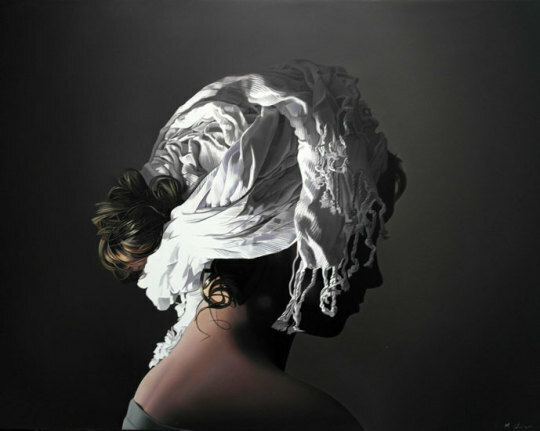 Still so young, in art terms, of course – his work has been widely exhibited in many prominent national institutions including the Royal Society of Portrait Painters, the Royal Institute of Oil Painters, the Royal British Academy, the Royal West of England Academy and the Royal Academy of Arts. In 2009 Michael was awarded two prizes by the Worshipful Company of Painter Stainers for his painting entitled Natural Philosophy. He is the first artist to have received a dual prize in the history of the award and in 2013 he was presented with the RBA Arts Trust Award at the Mall Gallery. De Bono’s much sought after paintings are often characterised by an emphasis on light effects and a reverence for the naturalism of the Italian High Renaissance and the Caravaggisti: an attitude that made him decide against a formal art education where he felt technical skill and art history were not valued. 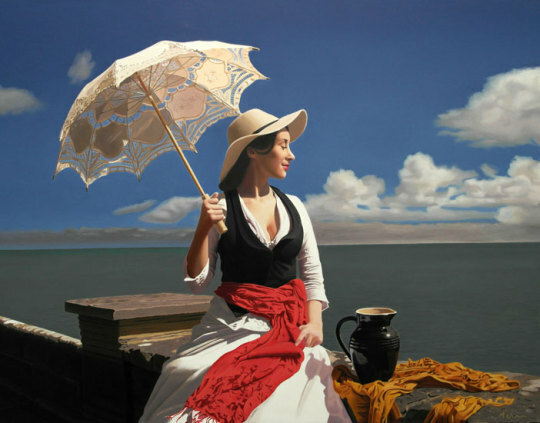 Michael’s interest in the elegance and primacy of the natural world finds expression within his figurative subjects, the intimacy of which invites us to reflect freely. De Bono adds Art is made flesh. All that I have done is to attempt in a humble way to paint well and to do a small amount of justice to the past greats that inspire me without fuss or fanfare. The current collection of works is a specific instance of this. There were two formative occasions that moulded my outlook as a painter, the first was seeing Caravaggio’s Supper at Emmaus, the second was learning of the impressionists’ concept of pure colour.